Greg plays accordion and is the lead vocalist for BBGB. He's an energetic entertainer and you never know what he might do next (sometimes he doesn't know)! He sings in both English and German and is as comfortable out in the audience as he is on stage. He loves to create audience particiaption contests, get people singing and clapping to the music, AND he has all the moves when the Bavarian Blues Brothers make an appearance! 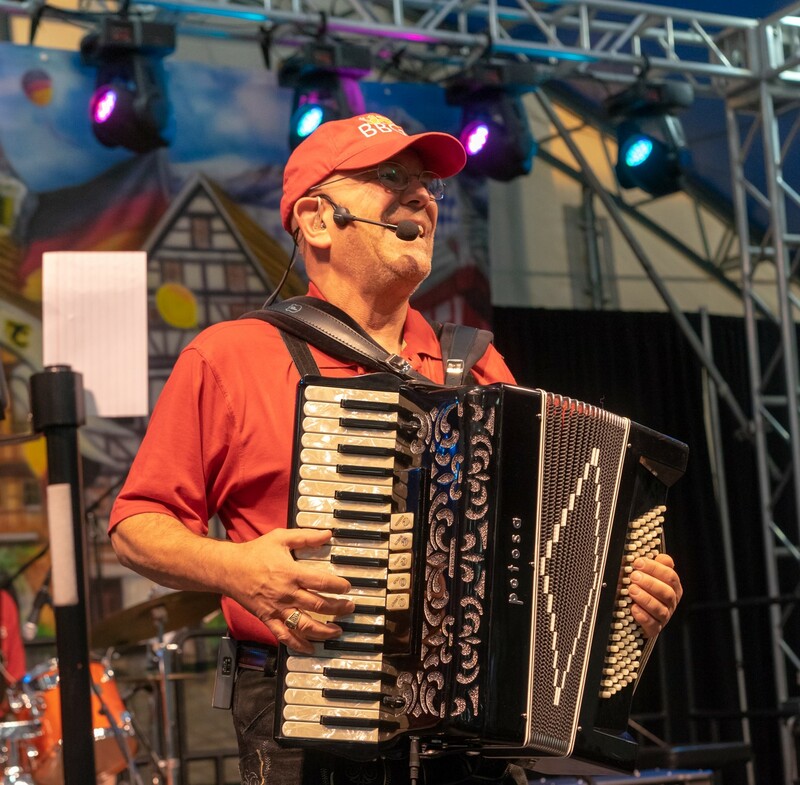 Greg is a lifelong accordion player and regularly performs with the Northwest Accordionaires, a regional accordion orchestra. He also performs as a soloist playing at wine tastings, wedding receptions, restaurants, clubs and Senior facilities. When he’s not playing music, he helps people buy and sell homes with Windermere Real Estate. Gary is a classically trained musician who actively plays Soprano, Alto & Tenor Sax in several local area big-bands. For BBGB, Gary plays the role of 'Elwood' to Greg's 'Jake' in our very popular Bavarian Blues Brothers shows, and contributes a mean tin whistle at St. Patty's Day events as well. Gary is also the band's audio engineer and manages the mix at our performances. Prior to BBGB, Gary toured with the USAF Band in the U.S. and the USAFE "Glenn Miller" band in Europe. This highly acclaimed organization played every major national festival in Europe, from Feria in Seville, Spain, to the Rose of Tralee Irish beauty festival, to Communist Musikfest in Sarajevo, Yugoslavia. Gary has also had the privilege to perform on stage with headliners such as Duke Ellington, Doc Severinsen, and Victor Borge. 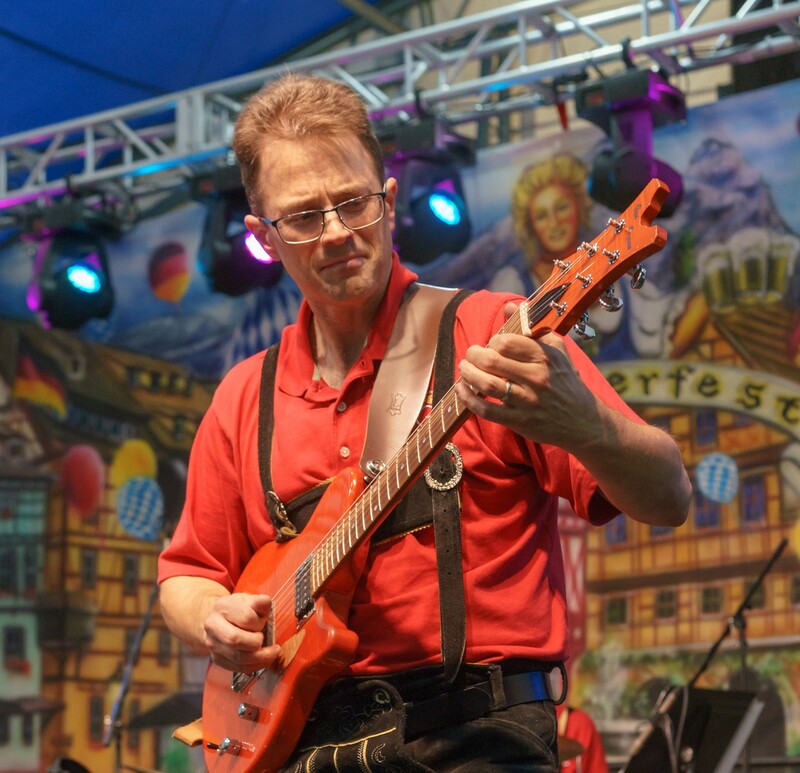 When he’s not wearing lederhosen, Gordon is an active guitar and bass guitar teacher. 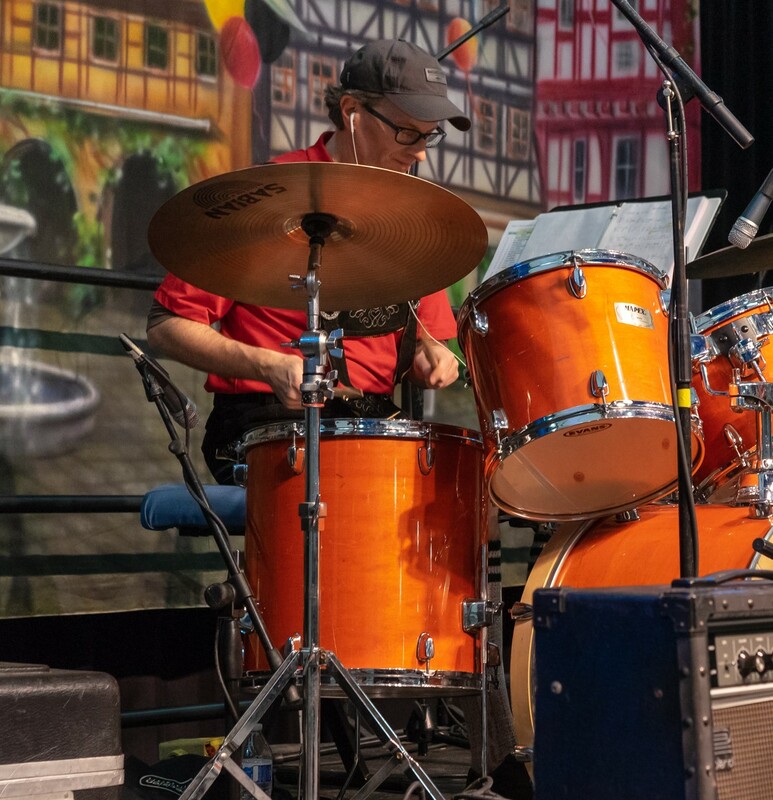 Prior to the polka life, he performed for cruises, clubs & weddings, loves to play jazz standards, and occasionally performs in theater productions and local churches as well. Meet new Band Member Tero Jankko. Tero is was born in Finland and has played both bass guitar and guitar since he was a child. 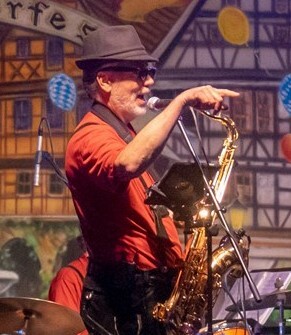 He has performed in several cover bands in Europe as well as within the US. 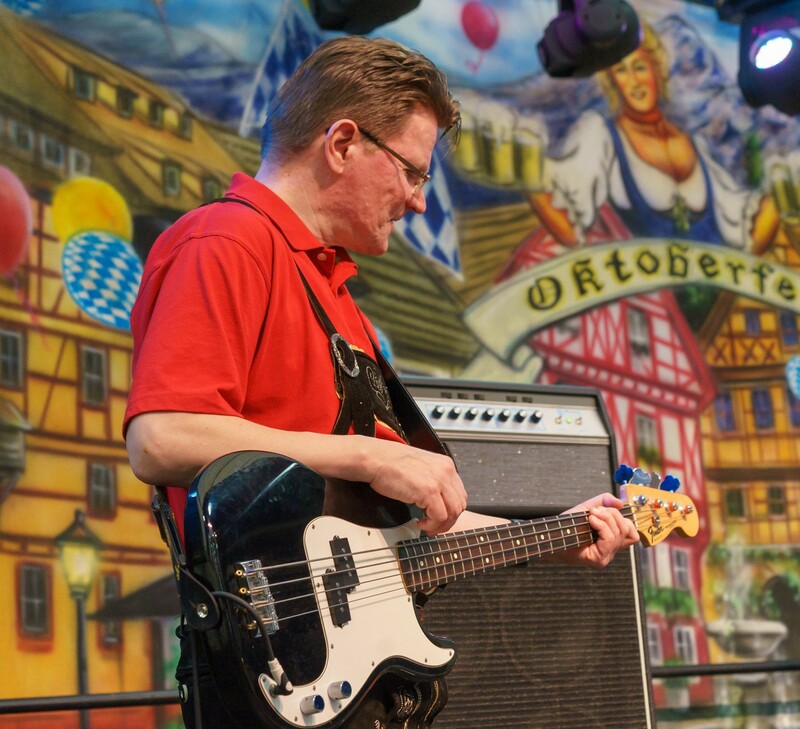 Tero plays bass guitar in the Bavarian Beer Garden Band in the style of Donald "Duck" Dunn and James Jamerson - a clean tradtional style focussing on precise timing and not overplaying. Tero delivers some amazing bass lines! Dan has had many playing and teaching opportunities on both the East and West Coasts of the US. He was born and raised in Maine and, as a young teen, learned the art of playing polkas in his dad's German band. In fact, he will often use the same drums from those days: a vintage 1960's Slingerland kit. He currently volunteers as a coach with the award-winning Edmonds Woodway High School jazz program and has an appreciation for how live music can provide lasting memories for the listener, no matter the style or genre. Once upon a time, Dan and his wife Ellen met as entertainers on a cruise ship. They've called Seattle home for over 25 years.